Can I Receive Workers’ Compensation With A Pre-Existing Condition? When you are injured on the job, it is your right in most situations to file for workers’ compensation, assuming your employer falls into the category that is required to provide it. However, many are unaware that your employer or their insurance company can deny or restrict coverage if you have a pre-existing condition that might have contributed to your injury. Whether or not your benefits will be less depends on the specific situation, however, so it is best to investigate before filing, if possible. Florida workers’ compensation law revolves around the idea of the “major contributing cause.” The relevant statute holds that in a worker with a pre-existing condition, the employer is only on the proverbial hook for compensation for the percentage of incapacity caused by the work injury. If less than 50 percent of the pain and suffering was caused by the work injury, workers’ compensation will be denied. For example, if a worker has an old injury to his or her knee that occurred many years ago, and then they injure the same area on the job, the worker may receive half the compensation they would have received if the injury had been entirely new, as long as the new injury is still the major contributing cause. It is important, though, to distinguish between aggravating an old injury and re-injuring the same area of the body. The doctrine of major contributing cause applies throughout – but the law also holds that only medical evidence can be used to determine whether an injury is new or old. This makes obtaining records and possible statements from your doctor very important. The difficult part of filing for workers’ compensation when a pre-existing condition is involved is that technically, you as the employee must prove a negative – that you did not experience symptoms to the same degree before and after your on-the-job injury. Technically this is not possible, and yet having proof that your quality of life was markedly better before your accident can be pivotal in the decision of whether or not to grant workers’ compensation. If you allege that you had no pain before the accident, but your employer can show you took days off to seek medical treatment for a similar condition, you will likely be viewed with suspicion. Because of the risk of liability exposure for an employer, it is not uncommon for your claim to be denied, even if you provide all the relevant information and proof. If this happens to you, you may be able to bring suit or to appeal to a higher authority in the workers’ compensation system, depending on the nature of the denial. Florida law makes it explicitly illegal for an employee to be terminated or otherwise disciplined simply because they file a claim for benefits, but it does happen with depressing regularity. 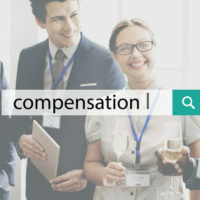 In this situation, you may choose to sue or you may have better luck involving the Equal Employment Opportunity Commission (EEOC) and alleging a retaliation claim under the relevant statute. Managing a pre-existing condition can be difficult enough, without having to worry about potentially being deprived of the compensation due to you after a work injury. If you are in this situation and need guidance, contacting a knowledgeable workers’ compensation lawyer can make all the difference. The dedicated Winter Park workers’ compensation attorneys at the Hornsby Law Group can help you figure out where to go from here. Contact our office today to set up an initial consultation.